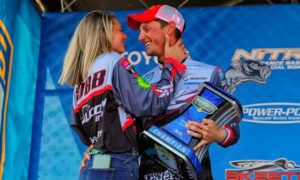 The North American Membership Group, parent company of the North American Fishing/Hunting Clubs among others, just announced a new MN/WI team bass circuit for 2011. Why do it? Obviously they feel like they can make money at it (really? now? ), and maybe they’re jazzed about all the awesome publicity that MN/WI bassin’ has been receiving lately…. > Following the successful model of the company’s Cabela’s Masters Walleye Circuit, which is now entering its 27th season, the bass circuit will follow a two-person, team format, giving anglers an affordable way to fish for high stakes and enjoy intense competition in a professionally run format. > Entry fees are $400 for qualifying tournaments and $600 for the championship. Details on the schedule, registration, sponsor contingencies and more will be announced shortly. Just remember: don’t cull â€“ or if you do, don’t admit it…. 80% payback sounds low for a fully sponsored tournament by an established organization. You had to say, if you do don’t tell. WIS. and MN. have made liers, cheaters,and law breakers out of us all. It’s not funny. Young anglers coming up are taught it’s ok, when it’s not. And if you are honest and don’t break the law you can’t compete in this format. WE need to get this law changed. As for a new circuit, great news. It sounds great, i’m sure it will be a great success, and a full field. 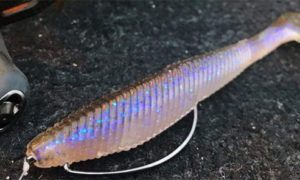 Their are so many tournament fishermen around here, some circuits will want to take advantage of it. I sure hope they run it fair and honest.